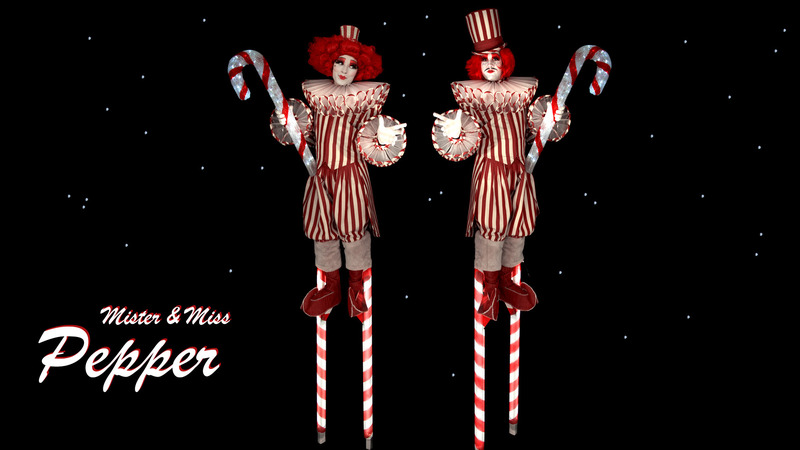 Our new Christmas Walkact MISTER & MISS PEPPER consists of two cute characters. With their own charming style, they captivate the audience. They enchant young and old and open the gateway to winter wonderland. With these two magical characters, your event is a magical experience! Their bright candy sticks make them easily visible from afar and are ideal for both indoor and outdoor events. You can book Mister & Miss Pepper from now on for your events!